Chrysalis offers personalized services to help people with disabilities receive training, develop life and vocational skills, find employment, discover volunteer opportunities, and realize a better quality of life. Our personalized services are designed to meet the needs of the individuals whom we serve while providing meaningful opportunities for growth and community inclusion. Employabilities provides skill development, education, and employment services to adults and youth with medical conditions, mental health challenges, permanent injuries, disabilities, and employment barriers. DynaLIFE provides clinical diagnostics to support physicians, patients, hospitals and other health providers from central Alberta through the Territories. DynaLIFE is internationally accredited for quality and is routinely listed as one of Albert’s Best Workplaces. We are committed to the communities we serve and actively participate in charities, community projects, and laboratory governing agencies. Stantec: As a global company, we’re involved in external activities that promote diversity and inclusion in the broader marketplace. We actively participate in a number of community partnerships, promoting opportunities for engaging with and recruiting women, members of visible minorities, Indigenous people, people of diverse ethnic origins, and people with disabilities. Gateway Association is a family resource centre and an employment resource centre that provides education, family support, mentorship and inclusive employment services. We are passionate about empowering families and people who live with disabilities to live fully authentic lives. Prospect Human Services works with everyone from recent immigrants to ill-and-injured military veterans to people with disabilities. We’re a not-for-profit organization, but our main motivation isn’t charity. We believe everyone who is ready, willing and able to work and wants a fulfilling job should have one. We’re driven to help people who face barriers to employment because society reaps the benefits for years to come. The Self Advocacy Federation is an organization comprised of people with disabilities and their allies who get together to discuss the issues facing people with disabilities. We are the leaders of today and tomorrow. We are proud to be who we are. We are an organization that helps people understand their rights and show them how to stand up for themselves. MatchWork is a cloud based technology platform which leverages data, predictive analytics & human coaches to connect marginalized populations to meaningful employment. Through our web based platform, MatchWork supports the identification and translation of skills, interests and values into employment pathways. This is unique to the needs and challenges of people facing marginalization and done in concert with the employment support agencies. 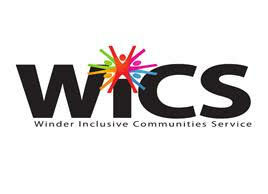 WICS (Winder Inclusive Communities Service) is a service alternative that facilitates opportunities for adults with disabilities to create healthy lasting relationships and a good life for themselves. WICS connects people to their communities in meaningful ways. Enbridge exists to fuel people’s quality of life, and has done so for more than 65 years. A North American leader in delivering energy, Enbridge has been ranked on the Global 100 Most Sustainable Corporations index for the past nine years.